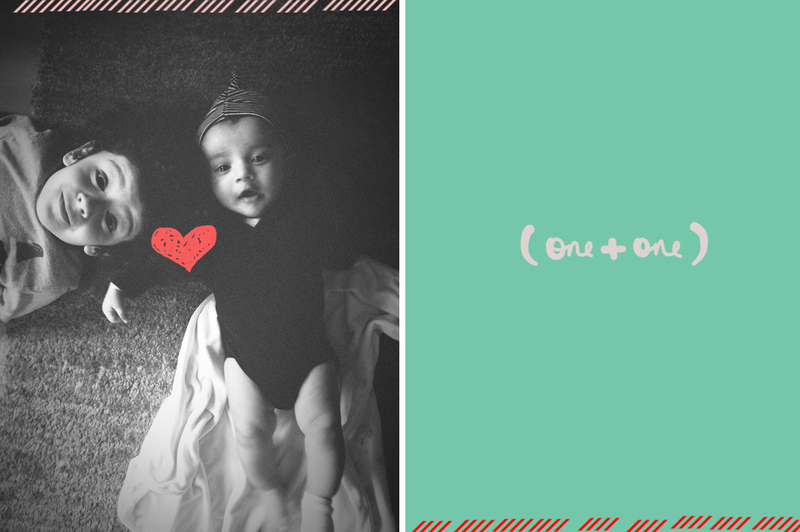 Life as a mama: On having two. For most milestones in my life, I was given advice by those who had been there before me. Sometimes it was exactly how they said it would be, but mostly I found myself able to handle those moments with suitable aplomb. Some of my friends and I would laugh over the misrepresentation of life by these panicky fear mongers. Marriage wasn’t the end of life as we knew it, it was just a changed version of life. Having a child didn’t mean our independence ended, it just required better management, a healthy dose of humour, a baby sitter and a resilient spirit. Then baby number two came along, and my spirit took a beating. They were right. It IS unbelievably hard. It IS each man for himself. You can’t hand over the reins to your spouse and disappear because there is one more human who needs you. One more who has thoughts that need sharing constantly and questions that need answering immediately. You can’t leave because this is no walk in the park, this is the real deal. The first month felt impossibly long. I wanted to cry, scream and shout and I probably did all of them in no particular order. Was it really time for the next feed already? Was it absolutely necessary to do it all over again? Was he actually upset enough to cry quite that loudly? Did I really need to manage his feeds, my sanity and a toddler? Could I quit? Or at least run away for a bit? Looking back I think the hardest thing was not being able to throw the baby at my husband and take some time to myself to sleep, rest or just be. The first time around, he would walk in after work and I would literally heave a sigh of relief. Phew. My break starts now. This time around though, it meant he needed to give our first child some TLC, who, reeling from the aftershocks of a monster mom, would run to his trusty reliable good ol’ daddy to feel safe. Slowly though we hit the magic 40 day mark and miraculously things did get better. I felt half human, able to conduct a rational conversation, talk to my son about his day, and manage some sleep too. Slowly the baby started smiling, looking around, being less grumpy and we had nights where my husband and I managed to survive without hating each other. Then the other wonderful thing happened. The sibling interaction. The one truly amazing thing that makes it all seem worth it. Seeing Timmy singing songs for the baby, excitedly hugging him, watching him play, was a joy unlike any other. We had created a human being, a partner in crime, a brother. We are now just days away from the 4 month mark and though the perils of motherhood continue, now in the form of early teething, I feel ready to reclaim my new form of independence which though not as footloose as before, is vibrant, rich and very fulfilling.